The 16th Meeting of the Northwest Section of the American Physical Society will be held in Pullman starting Thursday May 14, with a reception 4:30-7:00 pm and planetarium show at 7:00 pm, and ending Saturday, May 16, 2014, in late afternoon. A banquet will be held on the evening of Friday, May 15. 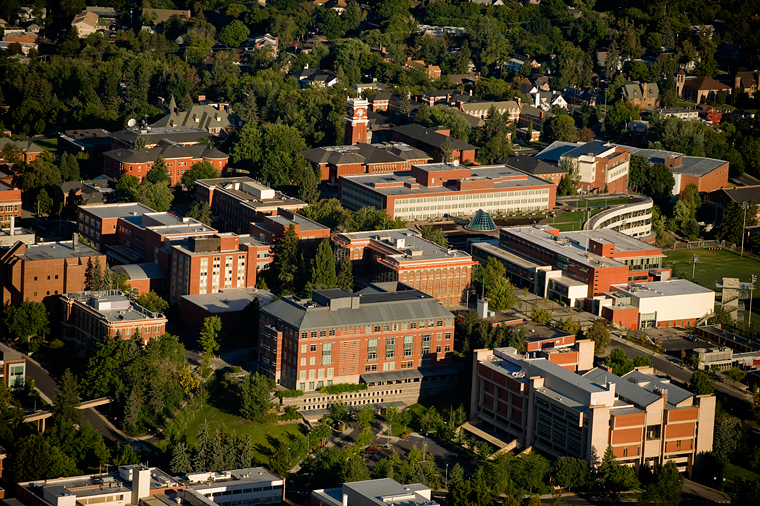 The meeting is hosted by the Department of Physics and Astronomy of Washington State University (WSU). The scientific meeting sessions will be held on Friday and Saturday; they will follow the format of previous NWAPS meetings. The meeting chair is Prof. Matt McCluskey, Washington State University. The Program Committee is chaired by Prof. James Imamura, University of Oregon. WSU campus map noting important NWAPS locations (pdf, 2 pages). No deadline for Olympia Residence Hall. A limited number of funds for student travel assistance is available. Early registration: $75 regular member, $50 graduate student, $25 undergraduate student. We encourage you to stay at the new, LEED-certified Olympia Residence Hall.